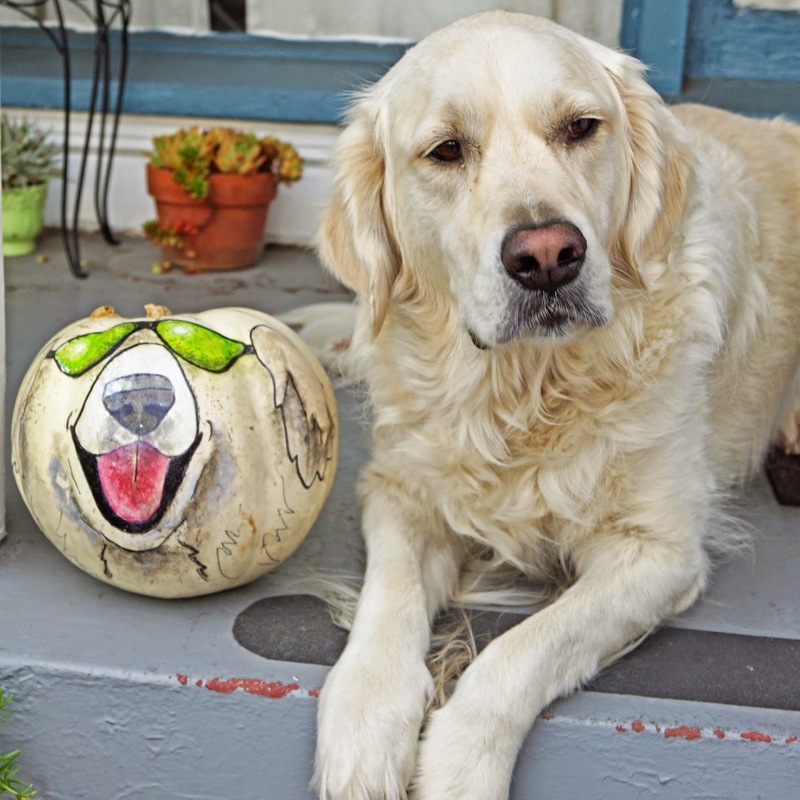 Lucy would like to wish everyone a Happy Halloween and tell you she does not believe the pumpkin looks anything like her. Happy Halloween. She did a nice job on the pumpkin. Big Dude, My sister, 'thepresidentofcookies' is the artist. Lucy is the Diva. Lucy looks so different now that she has grown up and filled out. Still a beautiful dog! Zoomie, Funny how that works.